Looking for private in-home or in-studio Opera Voice lessons? Our Casselberry teachers are ready to get you started. Find your teacher today! Providing appropriate music for each student to help them succeed. Use crazy vocal techniques to help each student perform Opera well. Obtained an Associates in Arts at Butler County Community College, El Dorado, KS. Obtained a Bachelors in Music Education from Wichita State University, Wichita, KS. I'm an accomplished accompanist and vocalist, with 10 plus years of expertise. Currently, I’m a volunteer worship leader at church, for over 6 years; helping other musicians fulfill their ultimate potential through training and education. Collaborate with other musicians for worship opportunities and projects. Been able to facility vocal training, how to lead a worship experience and which instrumentation and vocal concepts to are appropriate. Played piano at Von Maur, for 6 months where I utilized my piano skills to provide entertainment and guest requests. ultimate potential, through activities and diverse learning concepts. I believe that all musicians have the abilities to fulfill their ultimate potential; by assessing students learning styles, accessing community resources and just having fun learning musical concepts. Curriculum examples that I would utilize for piano would be Adventures in Piano and Succeeding at the Piano. For the vocal students I utilize Exceptional Musicianship, created by Hal Leonard for accurate vocal techniques. Within 3 months the students will have opportunities to demonstrate their musical abilities. I will provide opportunities for students to demonstrate musical expertise through recitals and other events. The expectation is that the students must have access to a piano and audio equipment for their success. The musical genres I'm an expert include Broadway, Show Choir, Faith-Based, Classical, Jazz, Pop, Performing Arts, Acting, Staging, Costuming, Props. I believe that students need to have access with various musical styles that will aid their musical abilities. My daughter was burnt out with her old piano teacher playing the same old songs over and over. Andrew has reinvigorated her love of playing again. He inspires her to play outside the box and getting her to practice is no longer a fight. I am a worship pastor and having been singing and playing guitar for 15 years. I had never had any formal training before this. I wanted to learn some proper technique in order to protect my vocal instrument for my lifetime. I also wanted to work on some technical aspects of my singing and improve my skill and vocal control. Andrew has been a great instructor. I have learned a lot from him and I really enjoy our lessons. I wasn't sure I could find a piano instructor that would help me with my busy schedule, but never hurts to ask. I am so glad that I did, because Andrew is amazing! He helped me with my schedule issues and has really inspired my 7 year old boy to really perform his best! Matthew has been been taking lessons for over a year now. He can't wait to see Andrew each week! Matthew has so much fun learning, that his little brother, Alex gets in on the action too. This has been the best experience for me and my two boys, learning how to play the piano! He brings the excitement and joy of learning! Opera is an amazing art form; the human voice can be so focused that it can carry over an entire orchestra with no amplification. Whether you aspire to this art form or not, it is great to learn how to support and project your voice and to keep it healthy for a lifetime of singing enjoyment. I recommend adults take from 45 minutes to 1 hour lessons weekly for skill building. The price of lessons DECREASES by 10% after each 5 lesson purchased for the first 15 lessons. I have a Master’s in Opera Performance from the Boston and New England Conservatories as well as graduating from Vocal Performance programs at Boston University and Western Washington University. I have sung professionally with Boston Lyric Opera, Children’s Theater Companies, churches and synagogue and have toured on the east coast as well as Athens, Greece. Premiering new music is a specialty. I can help you prepare your pieces for auditions. My students have successful auditions for college opera and music theater programs, and as choir soloists. Students gain a larger vocal range and an easy, natural way of singing whether it is in a rock band, choir or as a soloist. Together we find the joy of singing while building a solid technique. programs which introduce children to music and theater in schools. I was adjunct faculty at the College of St. Benedict/St. John’s University and local music studios as well as maintaining my private teaching practice. I am persistent and positive! Working and performing with singers and master teachers has helped me to be a resourceful teacher who understands the process of becoming a singer. I believe that a sense of fun and play helps you to accomplish your goals quickly. For beginners you will learn how the voice works and how to care for and develop your instrument, I recommend adults take 45" - 1 hour lessons weekly for skill building. We will choose music that interests you and helps to build your voice starting with basics before moving to more complex and challenging music. Understanding music theory and sight-reading will help you get the most out of your singing. After 3 - 6 months you should have a good command of breathing and an understanding of how to sing with an expressive tone. For the advanced student, I can help you work on trouble spots and give you tools to help with the changes that voices naturally go through. I look forward to giving you my full focus and celebrating your growth and accomplishments! Condo w/ open area with piano. Visitor's parking lot w/ seating in studio for parents to listen. Parents with younger siblings can use play areas outside. Basic library of vocal music, giving the student a way to sample different kinds of songs before purchasing books or downloading songs on their own. Music stand, iPhone plug-in/Amp for accompaniments and examples you want me to hear. I provide a basic library of vocal music at my home studio and will bring targeted books with me. Students should print out their favorite popular songs from such services as Music Notes website. I expect my students to provide a keyboard, music stand and notebook as well as a low distraction environment. As an opera and musical theater, Oratorio and church singer, I help singers of all levels improve within their genre from popular music to opera. A good singing technique will help performers in any style stay healthy and enjoy an expressive singing instrument. Amazing instructor. Kind and professional! Great experience. Julia very nice professional and patient. I love her teaching style. Classical bel canto technique and style. Operatic Arias from all major operas and Art songs from Schirmer's Library and others. Italian, French, Latin, and German. is healthy and easy for the voice. Hi! My name is Amy Gruber and I've been teaching voice since 1995! I am here for my students in everyway. If you have a goal, I will get you there. If you are unsure then I can guide you to something greater. My major instrument is voice, and I continuously study, hone, and polish my instrument to keep myself current, so I can be the best teacher I can be for my students. I am currently continuing my Opera studies with Julia Koci, a renowned Opera singer from Austria. You can catch her at the Volksoper if you are ever in Vienna! Hi! My name is Amy Gruber and I have been teaching voice since 1995! I am here for my students in every way. If you have a goal, I will get you there. If you are unsure, then I can guide you to something greater. My major instrument is voice, and I continuously study, hone, and polish my instrument to keep myself current, so I can be the best teacher I can be for my students. I have studied voice with Kathleen Blixt, Edgar Dittemore and other well regarded voice teachers, as well as Opera with Julia Koci, a highly esteemed Opera singer from Austria. You can catch her at the Volksoper if you are ever in Vienna! I am currently continuing my Opera studies with Cynthia Balme at the Balme Music Studio in Middletown NJ. Victorious Voices Performing Arts studio offers a wide variety of programs for all ages. In my studio, I use eclectic styles and teaching methods. My Philosophy is to use your body, mind and soul in music. I really try to cater to the needs of each individual student. I’v studied voice for several years, with several teachers, but I still don’t feel I’ve reached my potential. Although I’ve only taken a couple of lessons with Amy, I think she is going to be the one that helps me reach my goal. Amy is a super teacher! I saw massive improvements in my voice within the first couple of lessons. She has helped me to stop sounding like the nasally and annoying person I was before taking lessons with her. 2. Zack uses a professional recording studio to enhance/monitor student progress and gives student's fully mastered/mixed recordings of the songs they work on in lessons! "I believe anyone can sing; they just need to given the tools to succeed"
Zack is extremely talented and understands the mechanics of singing!!! He gives perfect examples that even a simple guy like me can understand. I’m excited about moving to that next level!!!! I have learned a lot from Zack. He's a great vocal coach. Zach Taylor at TVIS is a phenomenal vocal coach, performer and musician. My son absolutely loves his teaching style. The rest of the staff is equally talented and highly professional. I have completed training in vocal Pedagogy from Rollins College. I have over 2 years of experience teaching voice to students whose ages ranged from 4 years old to 19 years old. I am passionate about singing and teaching voice. I strive to structure each lesson according to the individual needs of each student and to help them get excited about what they are learning and performing. I'm a passionate and enthusiastic instructor with over ten years of professional Operatic and Musical Theater experience. I graduated with my Masters in Music from the Juilliard School in 2007, was a member of the Juilliard Opera Center from '07-'09 and then joined the Patrick G. and Shirley W. Ryan Opera Center at the Lyric Opera of Chicago. I was an Apprentice at Merola with the San Francisco Opera and at Glimmerglass in '07 and '08 respectively. In the subsequent 10 years I have worked both at home and abroad with some of the world's great conductors (ex. Lorin Maazel, James Conlon, Sir Andrew Davis) and companies (ex. Lyric Opera of Chicago, LA Opera, San Diego Opera, Lyric Opera of Kansas City, Academia Nazionale di Santa Cecilia, Snfonica de Galicia, The Boston Symphony Orchestra). I have always had a love of teaching and for the intricacies of Vocal Technique. I'm a passionate and enthusiastic instructor with over ten years of professional Operatic and Musical Theater experience. I graduated with my Masters in Music from the Juilliard School in 2007, was a member of the Juilliard Opera Center from '07-'09 and then joined the Patrick G. and Shirley W. Ryan Opera Center at the Lyric Opera of Chicago. I was an Apprentice at Merola with the San Francisco Opera and at Glimmerglass in '07 and '08 respectively. In the subsequent 10 years I have worked both at home and abroad with some of the world's great conductors (ex. Lorin Maazel, James Conlon, Sir Andrew Davis) and companies (ex. Lyric Opera of Chicago, LA Opera, San Diego Opera, Lyric Opera of Kansas City, Academia Nazionale di Santa Cecilia, Sinfonica de Galicia, The Boston Symphony Orchestra). for the intricacies of Vocal Technique. I have built a private studio on the foundations of traditional bel canto technique with a strong emphasis on the Italian School. I believe in consistent practice with scales, arpeggios and other exercises that help students build and strengthen their voices and navigate their registers. Correct breath support is too often a mystery for students, something we will demystify in our sessions. With correct breath engagement (appoggia) students will learn how to move effortlessly through their passaggio (transition to their high notes). The average cost of 60-minute opera voice lessons in Casselberry is $50. While the exact cost will vary depending on the teacher, type of lesson, and your location, you should expect to spend anywhere between $50 and $50 per hour. 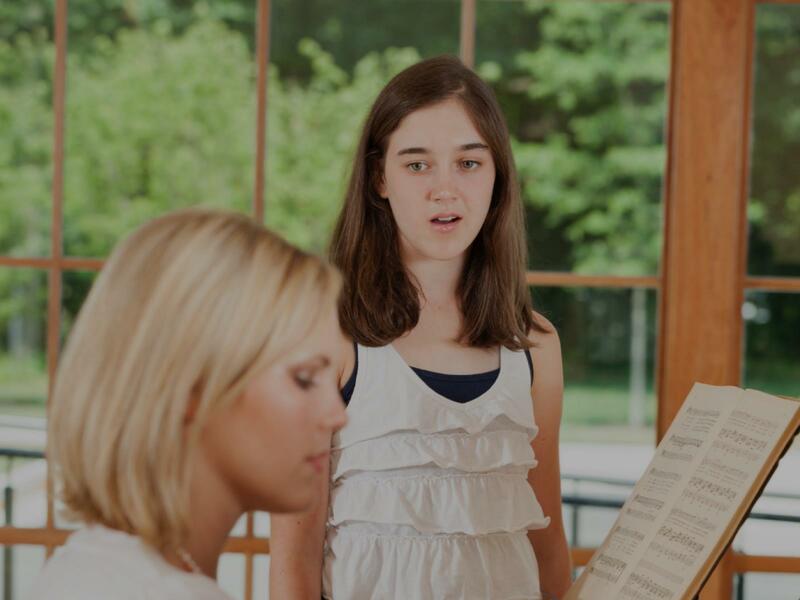 For the best experience, we typically recommend 60-minute opera voice lessons. However, students looking for a more affordable option may want to consider a shorter lesson length of 45 or 30 minutes. On average, 30-minute opera voice lessons are 40% less expensive at $30. Curious how much opera voice lessons cost in your area? Do a quick search to get local prices for the best opera voice teachers near Casselberry.